Looking for different options of waterfalls Costa Rica? Maybe here is the option for you. 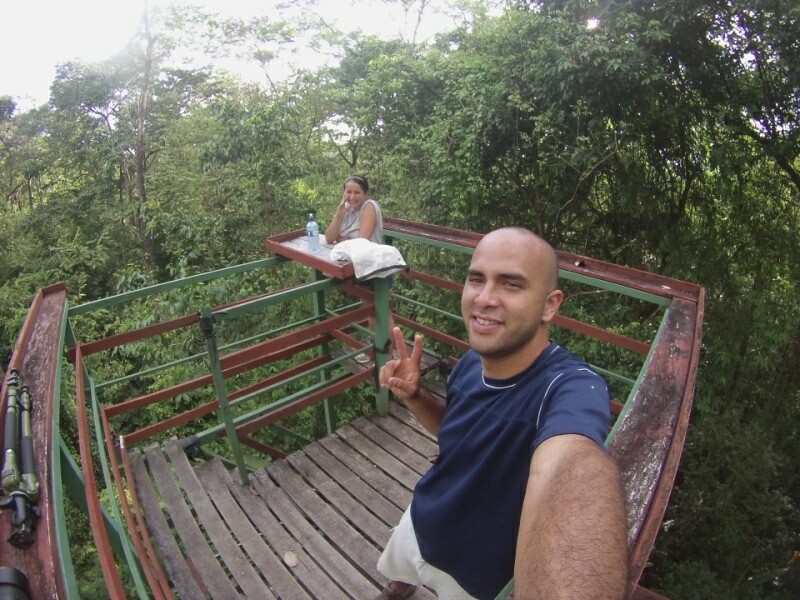 Many of our friends know that Ligia and I love to visit the mountains and get to know Costa Rica in a more rustic and ecological way (although that does not mean we will miss the opportunity to visit a luxury hotel if that is presented hahaha) but actually what represents us much more is rural tourism and eco-tourism. Well, let’s get to the point! As many know I live in San Ramón of Alajuela, a quiet town with friendly people and of course many things to do. Do you remember the article about the Trapiche in Bajo La Paz? Well, in this article I want to talk a little about this spot (Bajo La Paz), there is one person that I have know since 2010, his name is Ignacio Arias but everyone knows him as Nacho. He likes for everyone to call him by this nickname and the people know him this way. Nacho and his family are landowners in the area; they have different farms used for tourism. When I met Nacho for the first time, the first question that came to my mind was: How did he learn about conservation? He used to hunt wild animals about 10 years ago, as it was common practice by his father and family. For years in his mind he had no idea how to promote conservation and neither protect animals. But this changed! It was a slow process, but Nacho told me that the help of others has been important. 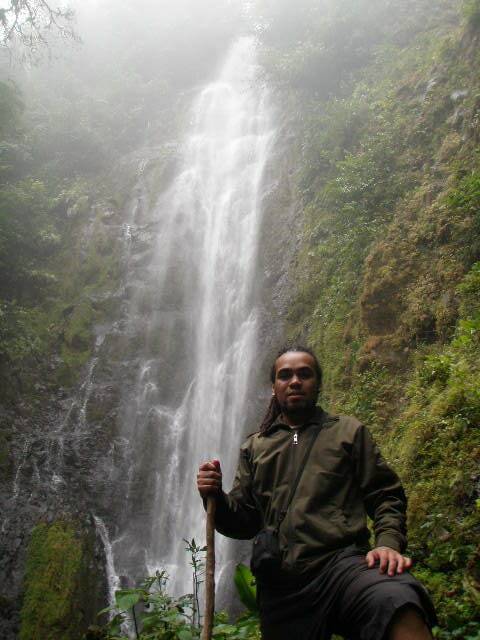 Locals and foreign groups contacted him often and organizes tours to different parts of the area like hikes. Now he has become a local guide in the area who perfectly knows the trails and even nesting times of the quetzal (a spectacular bird which can be seen in the area). The road to the waterfall is spectacular; trees with moss, birds of different colors and even the sounds are part of the route. It is noteworthy that the climate is highly variable but most of the time will be cloudy and a little cold. In summer (December to April) it is a little warmer but this does not mean the weather cannot change. When we arrived at the farm, the horses rested and we walked for about 40 minutes to the Danta waterfall. This is a measure of approximately 40 meters. What is a Danta? It is one of the largest mammals to be found in Costa Rica, it is also known by the name of Tapir. After sharing and enjoying nature; Nacho indicates when it’s time to return, you should walk back to the horses and then ride to the starting point. My personal experience was wonderful with a tour totaling four hours. I have done this tour on several occasions. -Excellent travel and natural appeal. How do you get to Bajo La Paz? Hope you like my article and do not forget to share it. Pura Vida! Hi there! Do you know if Nacho is still running this tour? It sounds great – would love to check it out. Hey Kate! Nacho still doing the birdwatching and hiking tour to the waterfall. We are not sure about the horseback riding but we will find out and send you an email! When are you planning to come? We will be happy to help! Pura vida!